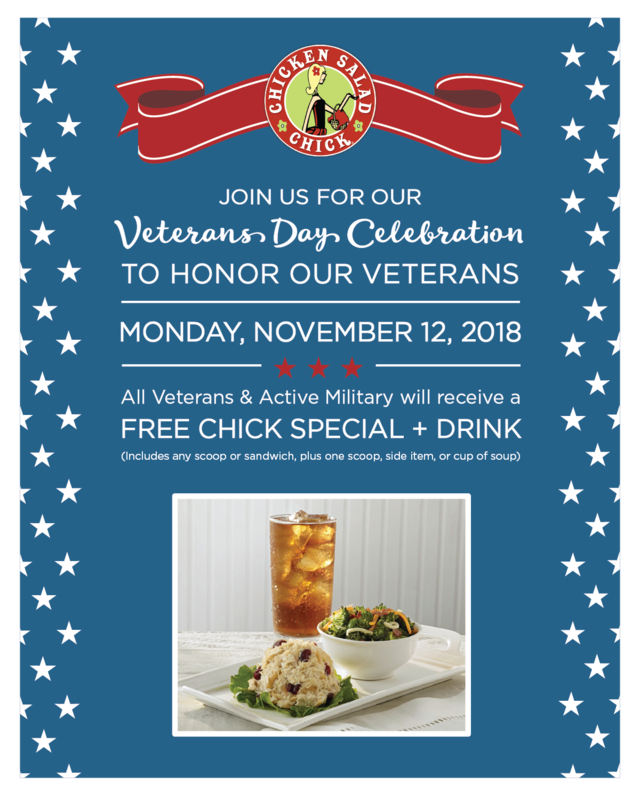 Veterans Day 11/11 is over but these restaurants and other stores still have free meals and discounts to offer veterans. Here is what is remaining beginning this Monday. Amtrak 20% off travel to veteran and active military service members between Fri., Nov. 9 and Tues., Nov.13. The discount is valid for travel between Nov. 27 and May 31, 2019. Use promo code “V111” and select passenger type “F” when purchasing. Bed Bath and Beyond 25 percent off Nov. 9-12 for Veterans, active duty, Reserves, Guard and Spouses. Big Lots military veterans receive 11 percent off in store on November 11 trough 11/12. Carnival Cruise Line Nov. 5-12, 2018, get a $50 onboard credit per cabin plus a two-category stateroom upgrade and 50% reduced deposit. Christmas Tree Shops 25 percent off Nov. 9-12 for Veterans, active duty, Reserves, Guard and Spouses. Eyemart Express From Oct. 28th thru Nov. 17th, all who have served our country and their families will receive 20% off their eyewear purchase when they visit an Eyemart Express, Vision4Less, Visionmart Express, or Eyewear Express store. Food Lion 10 percent off on 11/12 for veterans, active military members and their families. Free Car Wash Grace For Vets, a non-profit organization, unites the car wash industry in 4 countries (U.S., Australia, Canada, New Zealand, ) in order to provide free car washes to veterans. Thousands of car wash companies sign up to participate. Hair Club Free haircuts to veterans during the month of November. The company is also offering half price off select hair restoration solutions to all veterans, active military and first responders, including Police, Fire and Emergency Medical Services (EMS). Hyatt Hotels Eligible military personnel, veterans and immediate family members can combine the Veteran and Military Rate ( offer code MILVET) with its upcoming holiday promotion, in which members who stay for four or more consecutive nights at any Hyatt House hotel in the U.S. between November 1 and December 31, 2018 can earn 2,000 World of Hyatt bonus points. Kmart Nov. 8 – 12, Kmart is offering an extra 10% off for veterans, active military, first responders, teachers, police officers, firefighters, EMTs and nurses. One Blade Shave Serve and get the shave you deserve with 20% off OneBlade razor and skin care products, through 11/13/18. Verify status online or use discount code USA20. Veterans, reservists and active duty qualify. Outdoor Bound is offering 25% off with Promo Code VETDAY for the entire month of November. Outdoor Bound offers a large selection of quality outdoor and tactical gear and products including tents, sleeping bags, bags and backpacks, emergency medical kits, and more. Pandora 25% percent off your total PANDORA purchase with military I.D. or spouse/domestic partner/dependent I.D. Offer valid 11/8/18 to 11/12/18. Must be active or retired military or dependent. Pro Football Hall of Fame All November current and former US military plus one guest get free entry into the Pro Football Hall of Fame. Red Roof Inn Active Duty Members and Veterans receive a Home for the Holidays Military Discount when they book from Nov. 1 – Dec, 31, 2018, all active duty military and veterans can enjoy 20% off Red Roof’s best available rate for stays reserved November 1, 2018 – February 28, 2019 when using code VP# 623095. SpartanNash All active duty, Reserve, National Guard and veterans get an 11% discount at any SpartanNash store on Nov. 11 or 12. Super 8 Dec. 10, 2018, Super 8 will increase the discount it offers service members and their families, raising it from 15% off the best available rate to 20%. TOMS 20% discount for veterans on TOMS.com. Offer valid through Nov. 18, 2019. Under Armour 15% Off plus Free Shipping Get 15% off. Offer valid for Military, Veterans & First Responders Click for Detail. 15% off ends on 11/12/18.